Wow, where do we start with Jennifer and Tim?! Their story is incredible! From the fact that Tim knew within weeks of meeting Jennifer that he would marry her, to the fact that Jennifer goes from looking fabulous to shooting guns in cammo with her new groom. They were referred to us by a previous Divine Light bride and groom that we also absolutely LOVED! Jennifer and Tim make a pretty remarkable couple, and are so incredibly encouraging. When we first met, it was an instant connection for us that we sat and chatted for hours! Their strength and faith in God as a couple is truly inspiring. We were so honored to be a part of your special day! 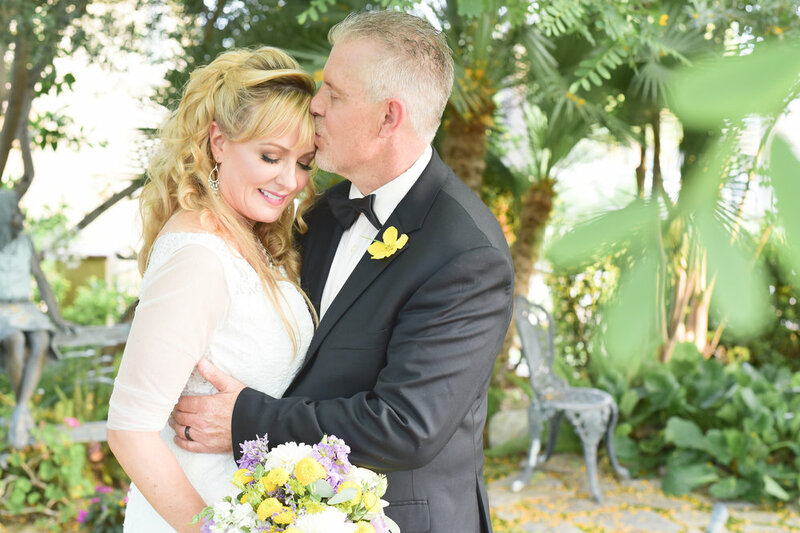 They held both their ceremony and reception in the cutest little backyard oasis in Rancho Cucamonga, California. This day happened to be the hottest day of the summer, and in fact was record breaking! Rightfully so, Jennifer and Tim are on FIRE! J & T 4-ever!